“Run!” Her inner voice yells at her. And she runs. She runs without looking back. She is scared. Something is chasing her. The sound of blood roars through her ears as her heartbeat is racing. What’s happening? But she doesn’t turn around. She runs because she knows her life depends on it. The wind howls and moans as she keeps running. She doesn’t know where she is running. It’s dark. She can’t see anything and she trips. She tries to stop her fall. Her hands get scraped on the ground. She feels branches and twigs on the ground as she pushes herself back up. She runs faster. The bramble and vine that saturate the forest floor lacerate her feet. She doesn’t know what she’s running from, but she can tell it is closing in on her. She can hear something cutting through the fallen branches behind her. She is breathing so fast! She feels the cuts from the branches sting her face. She ducks and dodges as she tries to escape. She is gasping for air, but she doesn’t care. She has to keep running. But she knows this “something” is getting closer. She’s suffocating. She feels like she is trapped. No, no! Please! Not like this! She keeps running, but she’s losing. She’s desperately flailing her arms to fight off whatever that’s chasing her. She screams, “No, no!” It has closed in on her. She feels it catch her. Oh my god! This thing has caught her! It’s shaking her. NO, NO! 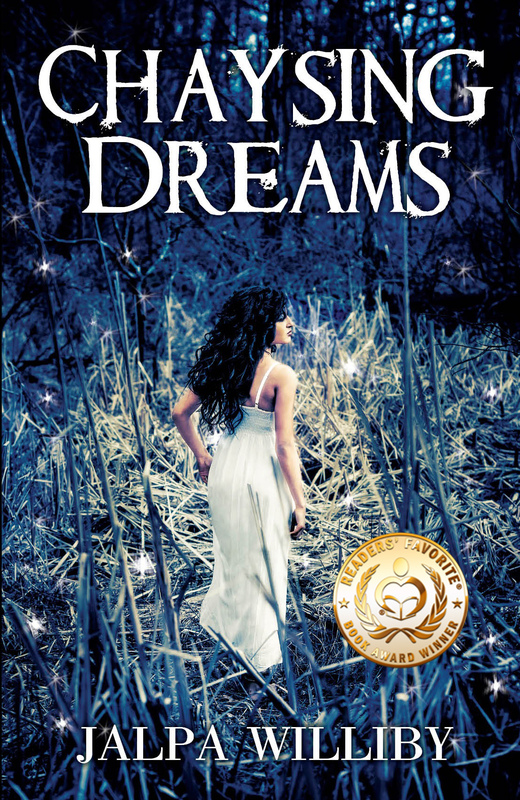 In Chaysing Dreams, Tess, the main character, is haunted by her dreams. Eventually, she is forced to face her worst nightmare. Have you ever woken up from a dream and wondered, “What the hell was that about?” I don’t know about you, but I’ve had the most bazaar dreams in my years. I’ve had dreams about trying to escape from tornados, snakes, people chasing me, and even ex-boyfriends whom I haven’t thought about in years! I won’t even get started on my sexual dreams. When my dreams are scary, I usually wake up, breathing heavy, trying to forget the dreams. But many times, the dreams I’m trying to forget, continue after I fall asleep again! What kind of luck is that! More recently, one of my patients (I will call her Becky) passed away about five years ago. Although I deeply cared about her, my work colleague was extremely close to other. Becky was like a daughter to her. It was a death that impacted the whole department. My colleague went through deep depression. Within a few years after her death, Becky came into my dream- twice. She wasn’t disabled and not bound to her wheelchair anymore. She was standing and walking and talking. She was babbling about something or another but dancing and looking beautiful as ever. I woke up in sweat, wondering why I’m dreaming about Becky, when I honestly didn’t even think about her too often. But then I thought maybe it was a message I was supposed to deliver to my colleague. Maybe Becky wanted her to know that she’s fine, and happy, and to not worry. I will forever cherish my dreams about Becky because I truly believe that it wasn’t by coincidence that I dreamed about her. I believe that Becky was worried about my colleague and intentionally used me as a “vessel” to communicate. I’ve always been intrigued by dreams. Why do we dream? And what the hell do they mean? Ok, let’s get to the basic question. What is a dream? According to Webster, a dream is “a series of thoughts, images, or emotions occurring during sleep.” Ok, sounds simple enough. We dream mostly in our REM stage of sleep, which is when our brain activity is high and resembles that of being awake. Another theory suggests that dreams are interpretation of signals generated by our brain during sleep (activation-synthesis model of dreaming). This theory suggests that dreaming may be our most creative state, and often can lead to new ideas. Yet other theories propose that dreams are a result of our brains trying to interpret external stimuli during sleep. (ie the alarm going off, or the radio playing in the background). Another model suggests that during dreams we are able to make connections between different thoughts and emotions in a safe environment. Ok, so these are just theories. Nobody knows for a fact why we dream and what they mean. What do I believe? I think dreams have something to do with our subconscious. Possibly our subconscious is communicating with us through our dreams. I don’t think we’ve even tapped into the power of our brains. What do you guys think? I’d love to hear about some of your dreams or your beliefs/theories. Posted on February 16, 2013, in Uncategorized and tagged Chaysing Dreams, dreams, Jalpa Williby, nightmares, what do dreams mean. Bookmark the permalink. 6 Comments. I’ve also had many dreams that had significant meaning. Well written. After my father passed in 1986 I had several dreams with him. In each dream I knew he was deceased and in each dream I would ask the questions; are you okay? did you see grandma? is there a God? One dream in particular stuck with me. My father spoke to me in Latin. I don’t know Latin and neither does he, but you know how dreams are, I just knew he was speaking Latin. When I awoke, I wrote down phonetically what he said and then looked it up. I heard him say “Io non cesant in tiempo.” The closest I could find in Latin was “I non cessant in tempore”, which means “I don’t cease in time”….. Freaky……. Amy, your story just gave me goose bumps! I’m so glad your father came into your dream- I believe he was giving you a message. That’s amazing! I did experience somethingh same after my 33 year old Brother”KETAN MEHTA” diad……..i was so close to him then my other brother.he did came in my dream the same night the day i decided to adopt hes two doughter from india,i was so happy to see him agian and sad at the same time that he is no more………but i am so gald to see him in my dream and he told me to take care of my doughter and belive me i do try my best to not let him down. but anyway dreams are a thought or a there way of telling us that there not heare whit us but watching us. Tina, you did a wonderful job on your brother’s daughters. They grew up to be beautiful young women because of you. Kethan knew that you would watch over his girls. I’m glad you got to see him in your dreams. He lives through his daughters every day! Reblogged this on Jalpa Williby.